This is a great product for real estate agents canvasing neighborhoods. Door hangers and business cards have been overused and have lost their effectiveness. You need to stand out from the rest with a personal product. 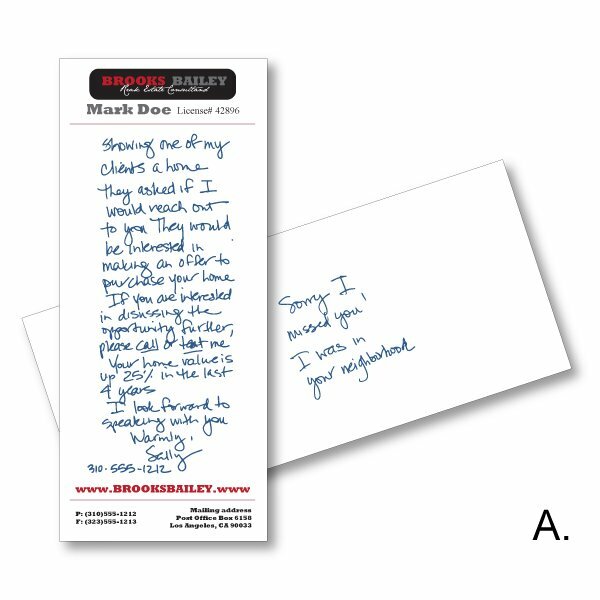 Our Notes-on-the-Go include a short message written in your own handwriting printed in blue ink or you can use one of our handwritten fonts. The note is placed in a #10 envelope and sealed. 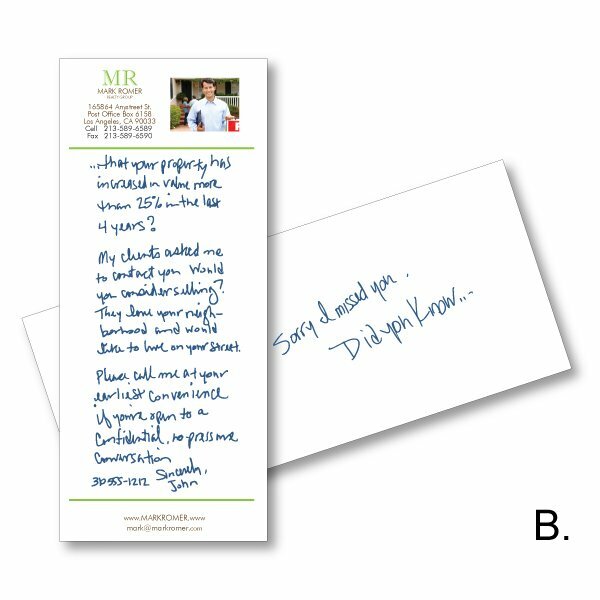 We also print a personal message on the envelope in your own handwriting. All you have to do is to drop it at the homeowner's door step. 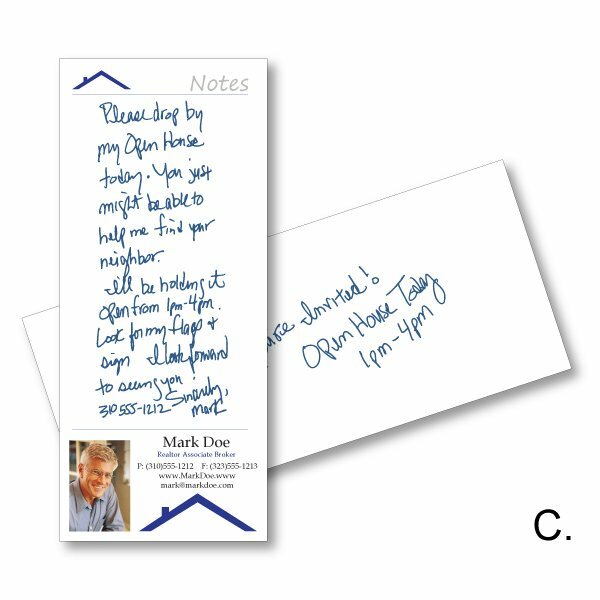 Notes-on-the-Go give you the personal touch you want without the time consuming effort required for writing individual handwritten notes. There are three pre-designed templates that you can choose from (option #7 on the calculator on the right). The setup is free if you choose any of our pre-designed templates. Or we can duplicate your existing notepad or create a custom design for an additional fee. Â Template A: This design includes your information and a company logo. Â Template B & C: This design includes your information, a company logo and your photo. We can either duplicate an existing design or create a customer design based on your instructions. Proof turnaround: You will receive a digital proof within two business days after order is placed and the template below has been completed. The turnaround shown on the price calculator begins after you have approved your proof. 1. First place an order using the calculator on the right side.